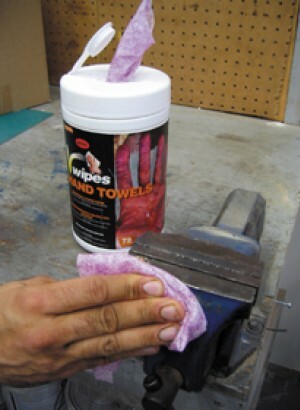 Clean those greasy tools! 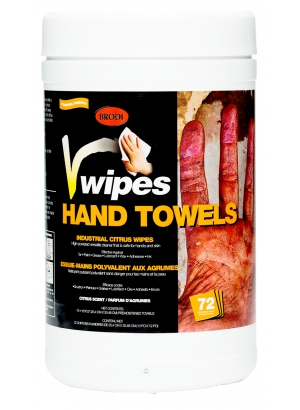 And also don't forget your hands and its great for cleaning graffiti. This stuff really works well! 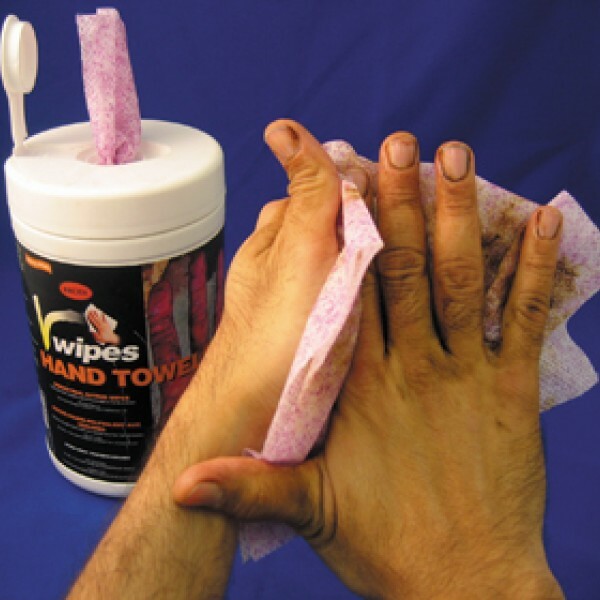 No more embarrassing greasy dirty fingers. 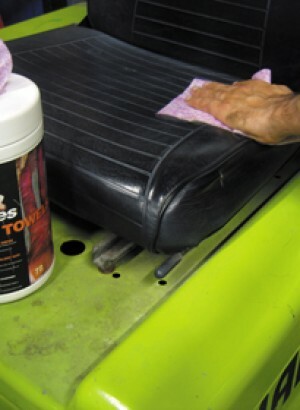 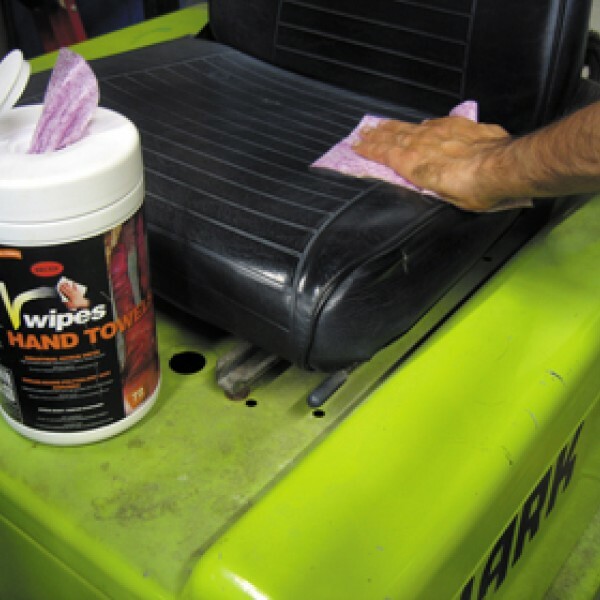 Designed for use in industrial and manufacturing settings, each towel is premoistened with a powerful cleaning formula capable of cleaning hard-working hands, as well as non-porous surfaces. 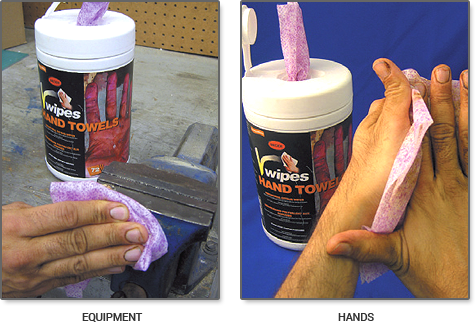 Each towel is made from an abrasive, yet nonscratching fabric that helps lift away heavy deposits of grime and dirt off hands and surfaces. 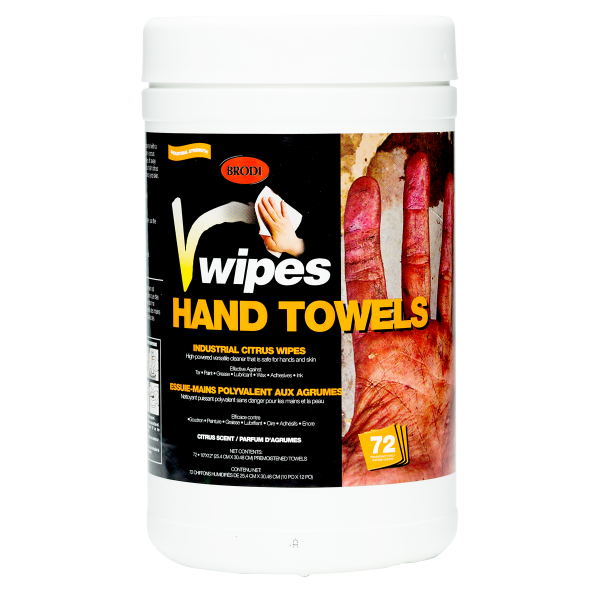 They also leave behind a fresh citrus scent and are enhanced with natural oils and emollients making them safe for hands and skin.